The 1965 war was imposed on the people of Pakistan and its armed forces by a vainglorious Ayub Khan and his Foreign Minister who was looking for an issue that could help him shoot into prominence and win public accolade. The plan was the brainchild of Zulfikar Ali Bbutto who managed to sell it to Ayub Khan. In 1965 Ayub was widely seen to have stolen the Presidential election against Fatima Jinnah through widespread rigging. Keen to silence the critics and desirous of remaining in power indefinitely, Ayub thought that with Kashmir delivered to Pakistan he would emerge as a national hero. The military ruler readily owned the plan. Gen Mohammad Musa claims that he opposed the plan and told President Ayub that the operation could lead to an all-out war with India. Its planners, however, insisted that the operation was being conducted in a disputed territory and therefore India could not legally violate the international borders. Instead of taking the navy and air force chiefs on board and jointly opposing the plan, Musa kept both ignorant of what was going on and agreed to carry out the plan despite his reservations. He claims in his book “My Version” that he “went on opposing the whole proposal, both verbally and in writing, till I was ordered to implement it despite my opposition to it.” Thus a weak army chief agreed to order the preparation of the plan. There were two misconceptions among the authors of the Operation Gibraltar. First, that the induction of the infiltrators would encourage the Kashmiris to launch an uprising. Second, the Operation would not lead to an all-out war with India. Both notions turned out to be unfounded. The first misconception was based on superficial interpretation of the events that took place in 1963 and 1964 in Indian-held Kashmir. In 1963, the theft of a religious relic from a Kashmiri shrine caused widespread shock and led to a popular uprising against Indian rule. Again in December 1964, India’s new Prime Minister Lal Bahadur Shastri abolished the special status of Kashmir granted to it under Article 370 of the Indian Constitution. There were strong protests against the measure leading to veteran leader Sheikh Abdullah’s arrest. The action against the popular Kashmiri politician led to yet another outburst of public discontent in the occupied Valley. Both waves of public unrest were however peaceful, indicating that Kashmiris were not mentally prepared for armed uprising at the time. The planners of Operation Gibraltar were however in a hurry. They did not care to consult Kashmiri leaders inside or outside the Valley. There was no attempt to gauge the public mood and to prepare public opinion in favour of armed struggle. Consequently, the operation simply flopped. Some among the infiltrators were captured by the authorities. Others finding little support among the local population trekked back to Azad Kashmir. The operation led India to initiate attacks to capture Azad Kashmir territory in Tithwal and Haji Pir Pass areas. Pakistan Army decided to hold the Indian troops in these places. It threatened Akhnur through Chhamb valley in order to release the pressure in the north. The Operation Grand Slam was launched to cut off Occupied Kashmir from India at its narrow Southern neck, realising little that this was bound to lead to a full scale war. India decided to launch a full-fledged attack in Punjab on August 6, 1965, with an aim to occupy Lahore and Sialkot in a blitzkrieg and then dictate peace terms. Pakistan’s Armed Forces fought gallantly and rendered innumerable sacrifices to protect the country. The population stood shoulder to shoulder with the soldiers. The Indian offensive was thus stopped. The war ended in a stalemate. The war, however, led to two highly negative consequences for Pakistan unforeseen by the short-sighted planners of Operation Gibraltar. The first was the strengthening of the separatist tendencies in East Pakistan that were to lead six years later to the breakup of the country. The second was the arrest of the economic development, causing a big rise in unemployment combined with the hike in prices that paved the way for Ayub Khan’s overthrow. The war caused alienation in East Pakistan and had a disastrous impact on relations between the East and the West wings. 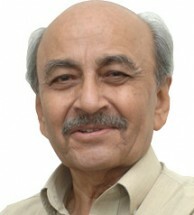 It became clear during the war that while East Pakistan sustained the country’s exchequer, adding more than its Western counterpart to the much needed foreign exchange and also contributing a large share for national defence, the military plan made no provision for its defence during a war. East Pakistan was left to fend for itself. The decision to launch Operation Gibraltar was taken in West Pakistan. There was no strong feeling for Kashmir in the Eastern wing. 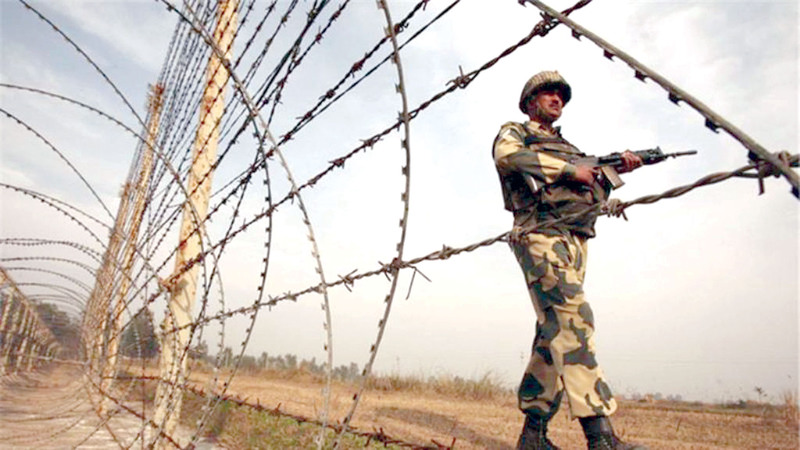 The country’s defence policy was widely criticised by Bengali leaders as the military jobs were almost exclusively reserved for those in the West Wing and the bulk of the armed forces were deployed in that region. The Bengalis were not considered fit for the army and only one among the entire population had attained the rank of a General. In 1956 the Awami League Chief Minister had protested against the statement of the C-in-C that East Pakistan could not be adequately defended. The province was subsequently assured that its strategic defence rested on the Lahore front, and “if that holds, East Pakistan is as safe as ever”. This led many Bengalis to support better relations with India. The persistent demands of the people of East Pakistan to locate the naval headquarter there were rejected by the armed forces for “administrative reasons”. Throughout the war East Pakistan remained undefended. It was a widely held view that it was the Chinese threat to India which deterred New Delhi from launching an attack on Dhaka. The Tashkent Declaration was widely opposed by all political parties in the West wing. The parties in East Pakistan however welcomed it. Soon after the Declaration an All-Pakistan National Conference was held at Lahore at the initiative of the West Pakistan parties to discuss the Tashkent agreement. Sheikh Mujeebur Rehman called for peaceful settlement of international disputes and demanded full autonomy for East Pakistan on the basis of Pakistan Resolution which justified, according to him, his Six Points. The leaders from the West Wing refused to discuss the Six Points and in protest Mujib withdrew from the Conference. Henceforth, the gulf between the Eastern and Western wings of the country was to widen with every passing year. The most far reaching consequence of the war was the wide-scale economic slowdown in Pakistan. The cost of the 1965 war put an end to the impressive economic growth Pakistan had witnessed during the early 1960s. Between 1964 and 1966, Pakistan’s defence spending rose from 4.82 per cent to 9.86 per cent of GDP, putting tremendous strain on Pakistan’s economy. By 1971, defence spending shot up to a whopping 55.66 per cent of government expenditure. Pakistan had to pay a heavy economic price for the war. The war put a squeeze on resources reflecting both a levelling of foreign assistance and increased allocation to defence. It seriously interrupted the development momentum of the first half of the 1960s. Private investment growth in West Pakistan during 1960-1965 was explosive as it increased over three folds in short period of just five years. It declined over by 20 per cent in the next five years. Any war is likely to destroy the infrastructure built over decades, scare away the investors, and retard the economic development.